The consultancy has a team of 14 based across the Caribbean and in London who offer a complete range of services under one umbrella. We are thus the largest consultancy operating specifically to services Caribbean projects. 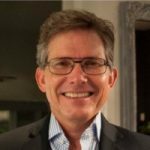 Robert MacLellan, Managing Director, is currently based in the Bahamas and has over 35 years experience in the hospitality industry. He has a Masters Degree in International Hotel Management from University of Surrey, England where he majored in hotel design and development and wrote his dissertation on international hotel management contracts. Robert is a regular speaker at regional conferences and is often quoted in hospitality industry media. Robert’s experience runs the gamut of hospitality and property development activities having held senior positions with Forte Hotels, Holiday Inn, Loews Hotels, P&O Cruises; Stanhope Properties PLC provided his property development expertise. He has managed hotels in Bermuda, Jamaica and St.Thomas and it was as a result of this the he identified the paucity of consultancy services provided to the region which was disengaged from the realities of life and economics in the Caribbean. MacLellan Associates was founded in 1997 thus this will be the 20th anniversary. 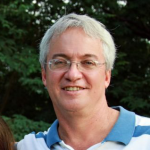 Joel Crocker, is based in the head office in St.Lucia and joined MacLellan Associates in 2000. 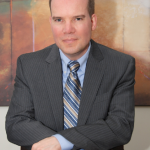 Joel specializes in financial modeling, accounts analysis and valuations. He is an Accountancy and Finance graduate of the University of Waterloo, Ontario and also attended Cornell University wherein he obtained certification in a Real Estate, Development and Hotel Investment programme. Having trained initially with Ernst Young in Canada Joel came to the Caribbean in the early 90’s wherin, before joining MacLellan Associates he was variously Resident / Assistant Manager and General Manager at resorts and villa developments in both St.Lucia and Antigua. His consultancy work has spanned the Caribbean from Dominican Republic to Trinidad & Tobago, from Cayman to Barbados. Joel hold the prestigious Certified Hotel Administrator designation from the American Hotel & Lodging Association which identifies the recipient as being part of an elite group of hospitality professionals. 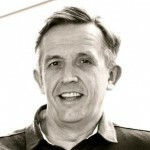 Stuart McKee is the most recent addition to the team and is based in St. Lucia. He holds dual British, St.Lucian nationality. Stuart holds a Master Degree in International Hospitality Management from the University of Strathclyde in Glasgow, Scotland. 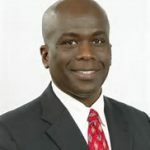 He started his career at the Ritz Hotel in London before moving to St.Lucia as Financial Controller at what was Cunard Hotel La Toc & La Toc Suites then subsequently spent time working in Barbados and Dominican Republic before opening The Jalousie Plantation (now Sugar Beach) in Soufriere, St.Lucia. Returning to the Europe Stuart has held senior management positions in finance, operations and developments including VP of Operations for the Dorchester Collection, where in he oversaw the rebranding of the collection, and Director of Operations overseeing the development of four luxury hotels in Morocco. He has also ran his own consultancy which resulted in spending extensive periods of time in Paris and Milan. From 1990 to 2007 Simon was involved in real estate development on behalf of major Caribbean public and private sector clients. Resort projects were located in Trinidad & Tobago, Grenada, Antigua and St Kitts. Resort projects were located in Trinidad & Tobago, Grenada, Antigua and St Kitts. In 2007 Simon relocated to Europe and worked as Sales & Marketing Manager on resort projects in Italy, France and Turkey. Since 2011 Simon has specialised in sales and marketing of Citizenship Investment projects in the Caribbean, most notably in St Kitts & Nevis. After several years in international business with BAT Industries, Russell founded Bragg & Co in 1989, co-founded Premier Resorts in 1997, and The World’s Finest Resorts and The Golf Consultants Association in 2002He now specialises in residential and hospitality property sales and marketing and over the years he has helped many property developers to launch and bring their projects to value. Some of Russell’s higher profile clients include Gleneagles, Celtic Manor, Champneys and Turnbull & Asser in the UK, Aphrodite Hills in Cyprus, Discovery Marigot Bay in St Lucia, Campo Real in Portugal and Anahita in Mauritius. 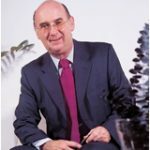 He is a former Senior Vice President in the Global HQ of InterContinental Hotels Group (IHG), where he led development of the Group strategy, was responsible for driving global improvements in operations and implementing new brand standards across the company. After IHG Rob took up a role as Commercial Director of Kittitian Hill, a new $500M sustainable luxury development on the island of St Kitts, where his role spanned hotel marketing, operations and real estate. Prior to IHG, Rob’s spent 15 years in senior corporate finance and consulting roles, initially with PricewaterhouseCoopers, before becoming a Partner in a boutique consulting firm. He holds an MBA from INSEAD, Europe’s leading business school, and has a built a particular interest and experience in socially responsible development and sustainability. The holder of an MBA from City University of New York he is a former Minister of Tourism for the BVI as well as senior lecturer in Marketing at the H Lavity Stoutt campus in Tortola. He currently is CEO at the Financial Services Implementation Unit for the BVI. Since 1973 he has been a FRICS in the UK. 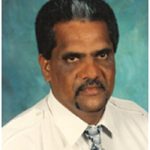 For the last 4o years he has run his own Quantity Surveying, Estimations and Valuations business in St.Lucia. 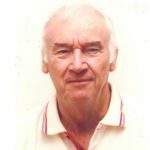 He was intimately involved in the development of Rodney Bay Marina and is regularly called on by government and private sector to provide professional opinions and to appear as an expert witness. A highly experience Chartered Valuation Surveyor, Fellow of the Property Consultants Society and member of the Chartered Institute of Arbitrators. 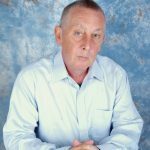 Formerly Managing Director of Raymond & Pierre, well known Chartered Valuation Surveyor in Trinidad, Roy has over 30 years experience in the industry. During his career he has undertaken valuations on a wide range of commercial properties and is regularly called as an expert witness in legal proceedings. 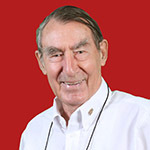 Roddy is a Senior International Representative for (Jack) Nicholas Design, the worlds leading Golf Course design firm. A tour golf professional for 10 years he then managed Seve Ballesteros a three years. He is a Director of the Barbados Golf Club and has undertaken projects in the Caribbean, the Far East, Spain and Ireland.